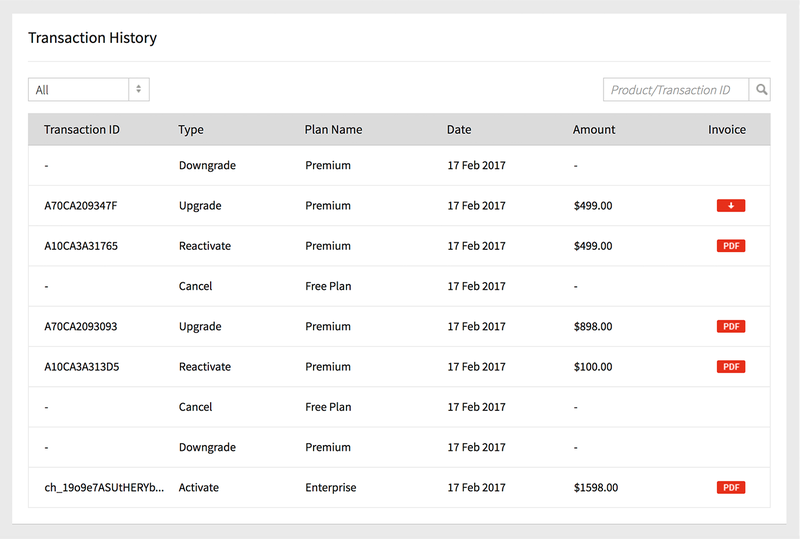 Portal owner can upgrade to the Premium plan or change the billing details of your subscription. 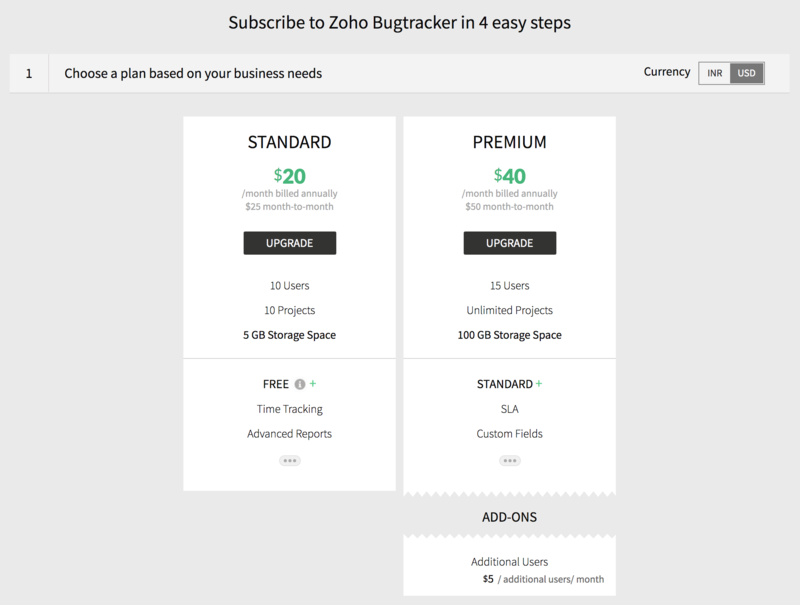 You can upgrade from a free plan to Premium plan in Zoho BugTracker. Click Upgrade under Premium plan. Select additional user add on as per your requirement and then click Continue. Review your order and click Confirm. Enter your payment details and then click Calculate Tax to know the final billing amount. 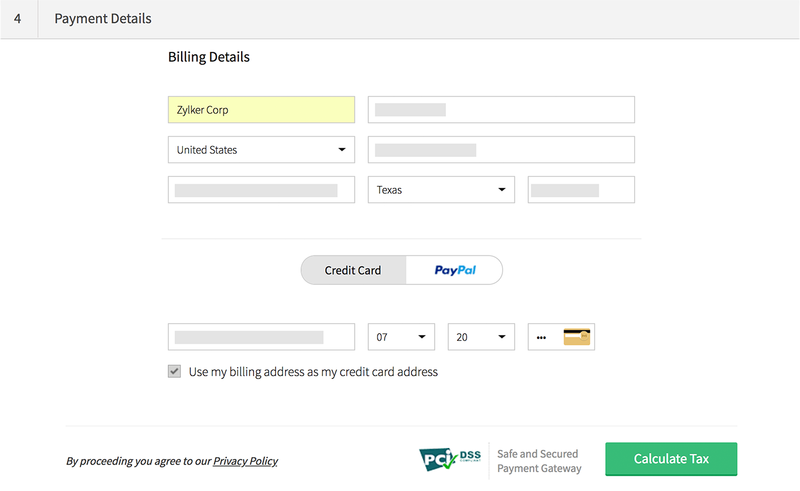 Click Make Payment to complete the payment. Click your profile in the upper-right corner and then click Subscription Details. 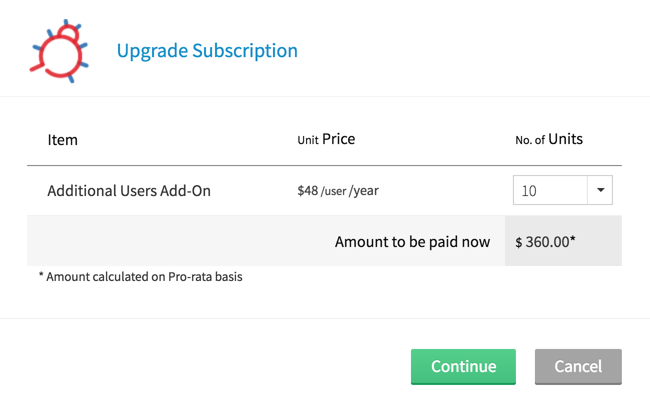 You can manage your plans and upgrades from the Manage Subscription section. 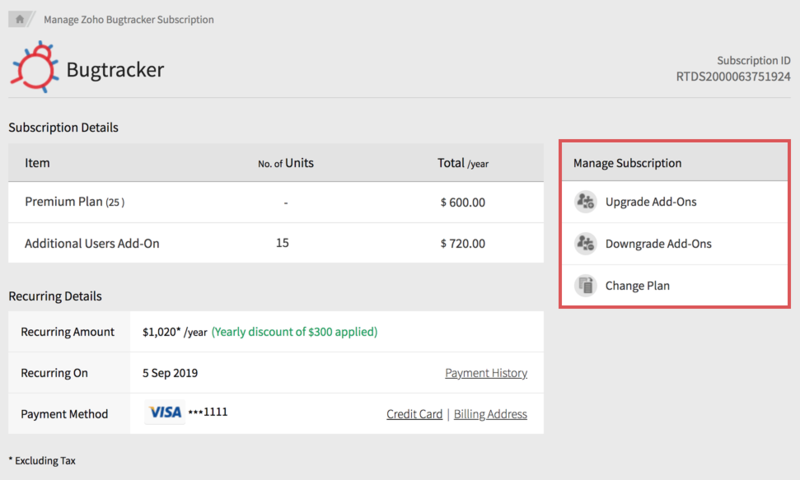 Select Upgrade Add-Ons under Manage Subscription in the right corner. Select the number of additional users and then click Continue. Click Make Payment to finalize your purchase. 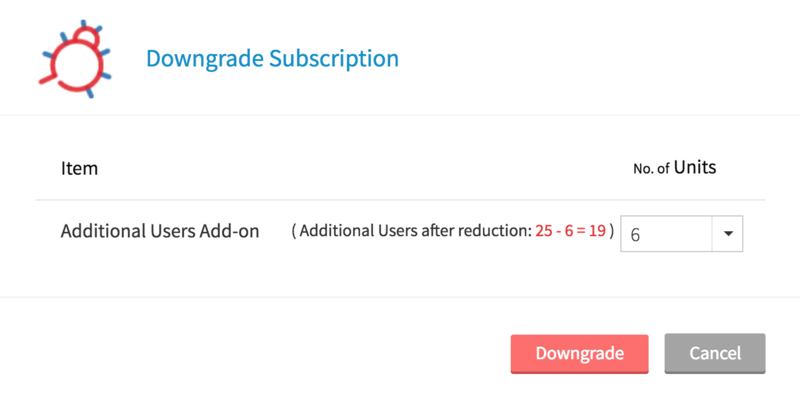 Select Downgrade Add-Ons under Manage Subscription in the right corner. Select the number of users you want to reduce. 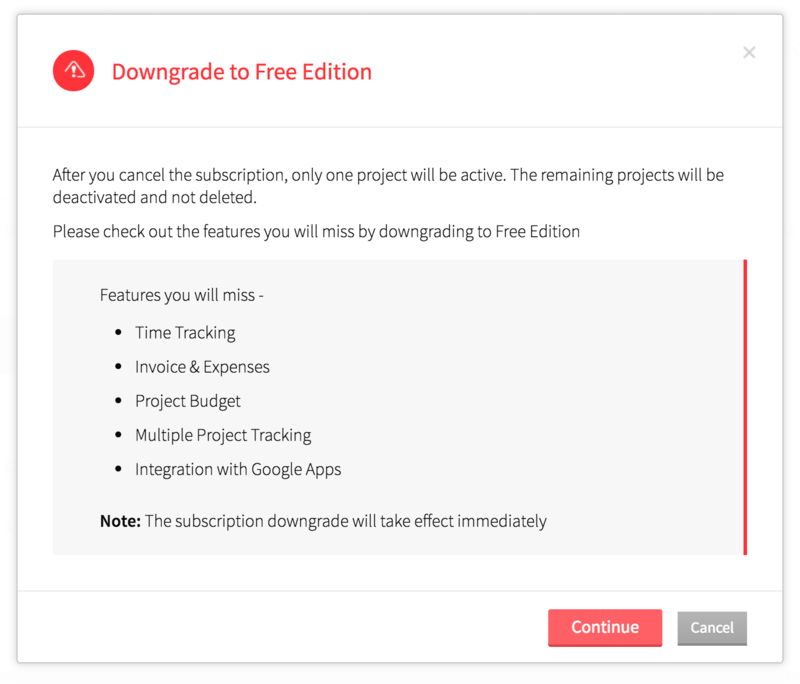 Click Downgrade to and then click Confirm. Your add-ons will be downgraded. 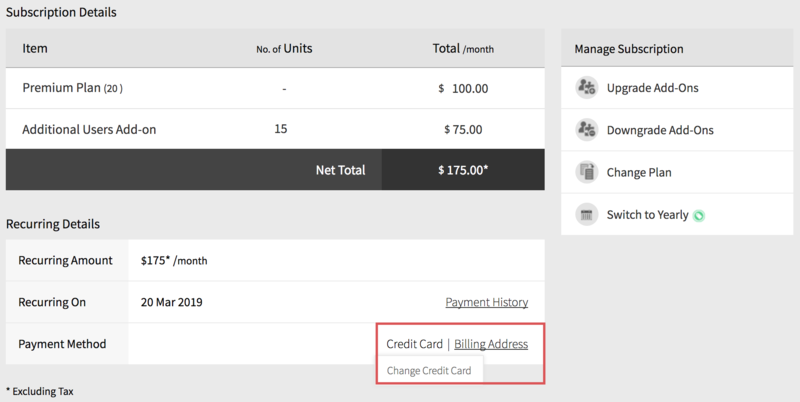 You can switch from monthly subscription to yearly and save on costs. Click Subscriptiondetails to view details. 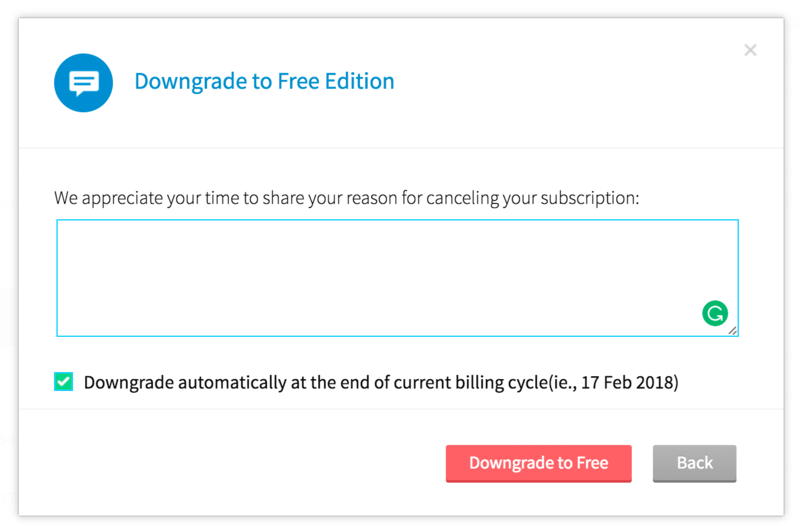 You can downgrade to the free plan if required. A confirmation message about canceling the plan is displayed.